Exceeding its target of attracting 1 million visitors by 2018, Ras Al Khaimah reported 1,072,066 visitors from domestic and key international markets during the year. Ras Al Khaimah Tourism Development Authority (RAKTDA) reported a 10 per cent growth in visitors compared to 2017, led by the UAE domestic market which continues to generate 38 per cent of overall visitors. Germany continues to be the leading international source market with 83,605 visitors, followed by Russia, with 83,531 visitors – up by a significant 17 per cent on 2017. The third largest source market was the UK, with 63,054 visitors, up 11.5 per cent; India was fourth with 62,325 visitors, up 22 per cent; rounding out the top five was Kazakhstan with 27,168 visitors, a growth of 28 per cent. One of Ras Al Khaimah’s key milestones in 2018 was the launch of Jebel Jais Flight – the world’s longest zipline, which has welcomed over 25,000 flyers since opening 12 months ago. This put Ras Al Khaimah on the map, breaking the world record and strengthening the emirate’s credentials as the fastest growing adventure tourism destination in the region. Haitham Mattar, CEO, RAKTDA said, “2018 has been another remarkable year for the emirate of Ras Al Khaimah in terms of achievements and milestones accomplished, primarily exceeding our target of 1 million visitors. 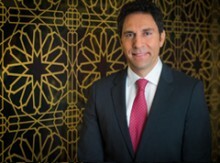 With the current robust visitor demand, solid regional and international partnerships in place and iconic product launches over the past few years, Ras Al Khaimah is on a mission to further assert its position as the fastest growing tourism destination in the region, whilst promoting our emirate’s breadth of offerings to regional and international target markets”. Ras Al Khaimah Tourism Development Authority recently announced the launch of its new Destination Strategy 2019-21. The strategic three-year programme will focus on diversifying the emirate’s tourism offering to attract a wider segment of tourists and higher yield visitors looking for authentic experiences.